Iranian Foreign Ministry spokesperson Hossein Jaberi Ansari on Monday promised Tehran will continue building its controversial ballistic missile program in "defiance" of new US sanctions. "We will respond to such propaganda stunts and measures meant to harm by more robustly pursuing our lawful missile program and promoting our defense capabilities and national security," said Ansari, reading from a statement at his weekly press briefing. Ansari's statement, reported on the state-run PressTV, came just hours after America on Sunday evening imposed fresh sanctions on the missile program following breaches of UN sanctions. The new sanctions target 11 entities and individuals connected to the Iranian missile program, and ban them from using the US banking system, given the "significant threat to regional and global security" posed by the missile program. On Sunday international sanctions on Iran's nuclear program were lifted, with US President Barack Obama glowingly welcoming the development. 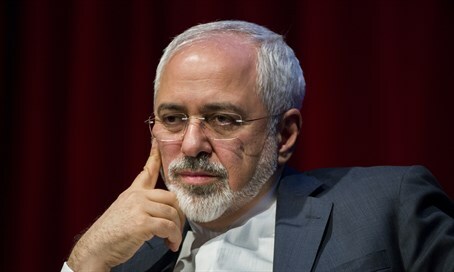 Heavy concerns remain over the nuclear deal, given that Iran will be allowed to inspect its own covert nuclear sites such as Parchin, and likewise can simply wait for the limitations on its nuclear program to expire under the deal in 15 years. The new American missile sanctions come after Iran conducted an Emad medium range ballistic missile test on October 10, and a month later it tested another ballistic missile. US officials revealed that other undeclared tests occurred even earlier than those. UN sanctions monitors confirmed the Emad rocket tested on October 10 is capable of carrying a nuclear warhead, making it a violation of a UN Security Council resolution. Iran has since flouted other expectations in the deal. Earlier this month Iran publicly revealed its 14 underground "missile towns," with the latest facility being shown on Iranian media as convoys of the nuclear-capable Emad missiles were transferred in. In response to the missile tests, Obama in late December threatened to implement new sanctions on Iran's rocket program. A day later Iranian President Hassan Rouhani threatened that Tehran would accelerate the development of its arsenal, and a day after that Obama backed down and delayed the new sanctions.